It’s never been easier for very small teams with very big ideas to achieve massive traction. Here’s just one small example of that. WhatsApp sends more messages every day (over 30 billion and growing rapidly) than there are SMS messages sent in a typical day (about 20 billion and falling slowly). 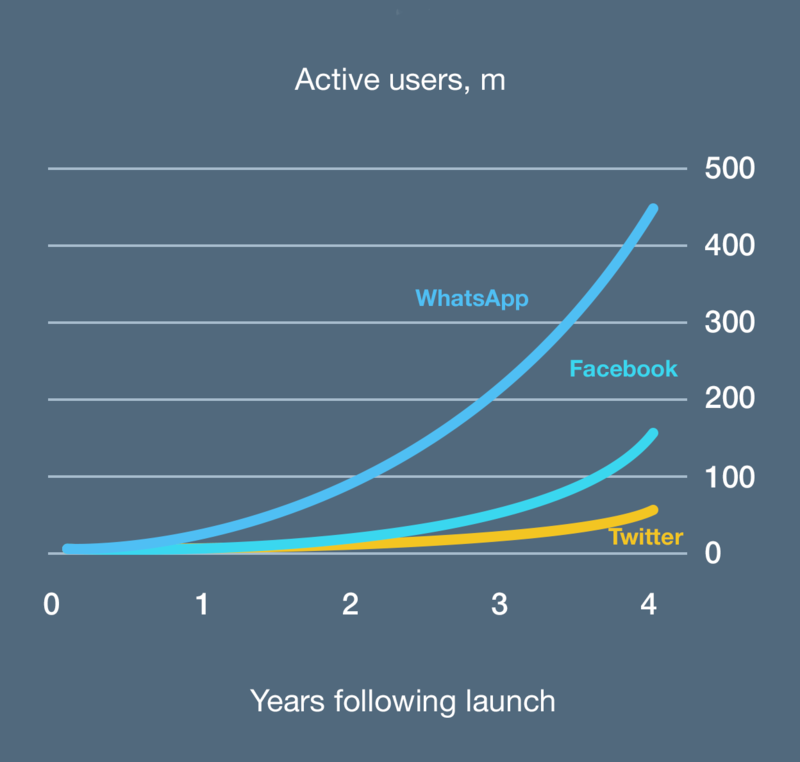 Even more impressively WhatsApp sounded the death knell for SMS in just 4 years and with a team of just 30 engineers.